The analog + digital noise friend. 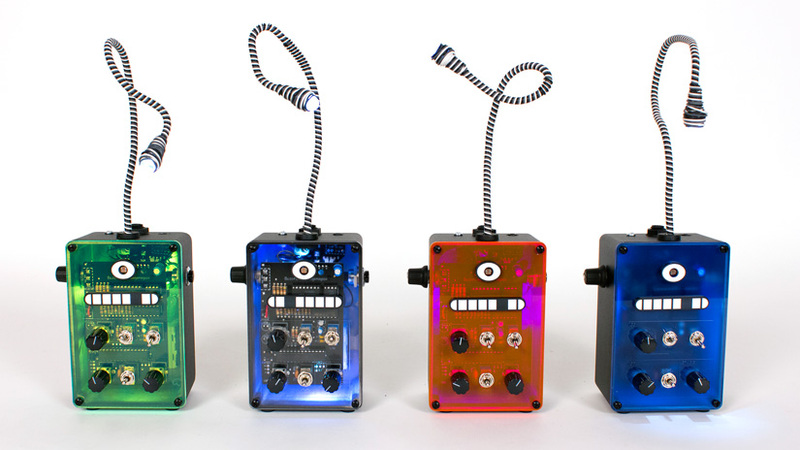 Versions of the Thingamagoop 2 were available from 2009-2015. Sign up for our mailing list for updates on new products in 2019. 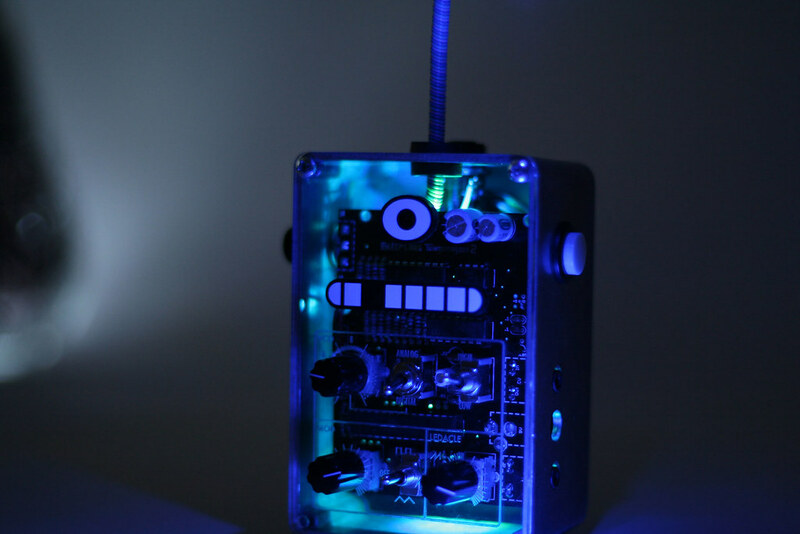 The Thingamagoop 2 is a handmade, analog + digital synthesizer you control with light. 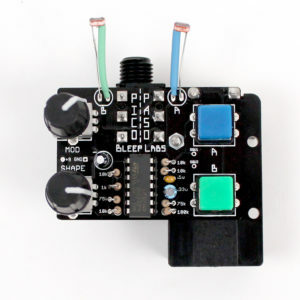 It features an analog voice that is controlled via photocell. This means that the more light, the higher the pitch. This allows you to use any changing light source, such as the LEDacle coming out of the top of the Thingamagoop’s head, to be used as a modulator. 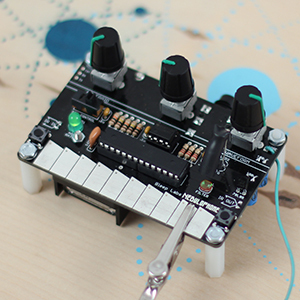 An internal LFO and digital, Arduino controlled modulator add even more aural ridiculousness. The kit is great for beginners with its detailed instructions and photos of each step. Advanced users can take advantage of the Arduino integration, control voltage in and out, or just bend it like crazy! 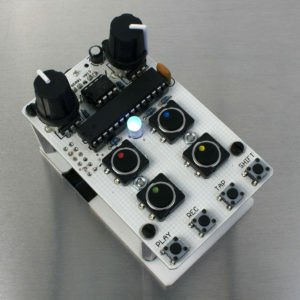 The Thingamagoop 2 uses Arduino to control the analog VCO as well as the LEDacle. 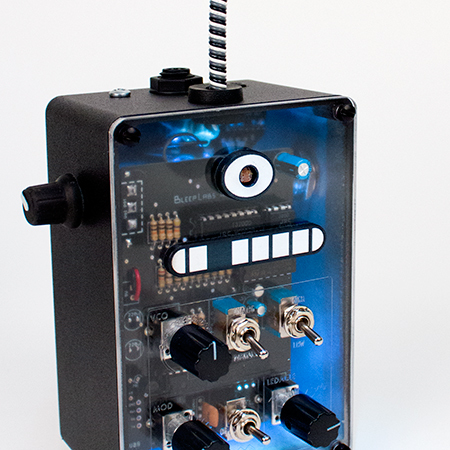 You don’t need an Arduino board to use the Thingamagoop 2, only if you want to reprogram it to make your own ridiculous sounds! More info here. 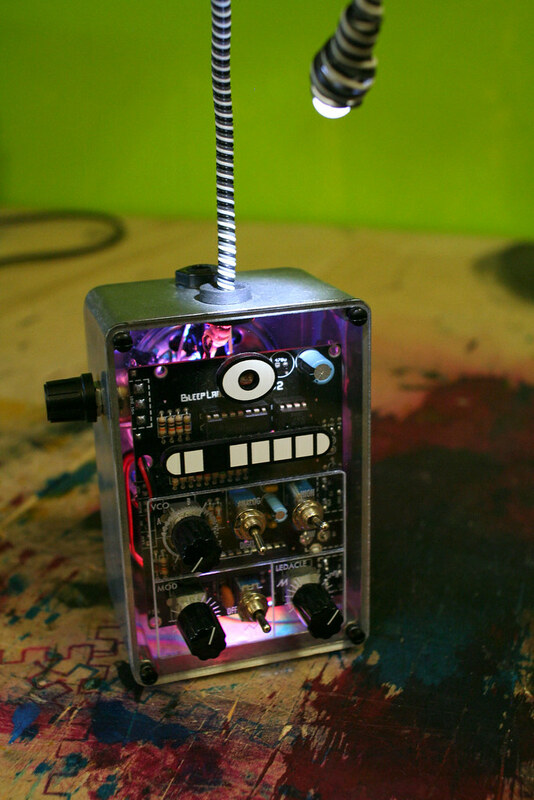 The Thingamagoop has a 1/8″ jack on the top for control voltage out. Here are a few examples of its use.